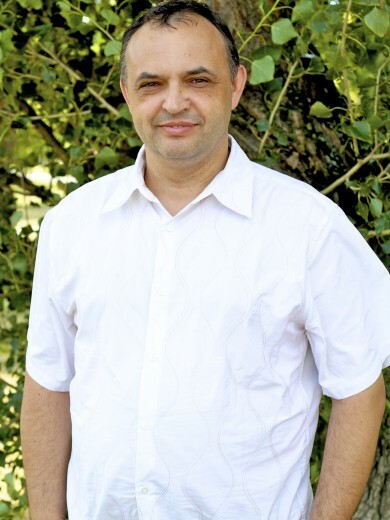 Laszlo Jakubinyi proves that individuals with intellectual disabilities, of all levels, can thrive as dedicated employees and live productive lives. Laszlo has created a replicable rural approach for people living with moderate to severe levels of intellectual disabilities. Laszlo’s approach is spreading to Poland, Romania, and Moldavia. solution for the main problem which is the usually asked ‘taboo’ question made by autistics’ and mentally challenged people’s parents: ‘What if I die?’ There comes a time when disabled people reach a certain age and the parental support is getting low or just simply stops. Therefore they’re forced to look after themselves, while they wish to be an active and valuable member of the society. Today, Symbiosis Foundation provides more than 100 workplaces for people living with disabilities. The open labourmarket program brought 160 new jobs in 5 years and the organization’s wide range of product portfolio generated a trade of almost 4 billion (as in HUF) in the last ten years. There’ve been more than 200 winning tenders. The foundation is in touch with more than 300 physically and mentally challenged people every year. Besides, they also have a significant national and international activity. Right now, they’re distributing their work among different foundations and non–profit enterprises to create the first Hungarian civic holding by grouping them together. With the establishment of Symbiosis, László has worked out a complex service system where everybody can be a useful member of the community within the scope of their own potential. The main mission of Symbiosis Foundation is to create circumstances where disabled people are able to adopt values corresponding to their own capabilities and to live independently while they wish to be an active and valuable member of the society. László’s dream is to reach organizational sustainability so that his system can be independently operated without his presence. He would like to pass on his knowledge and enable others to continue his work. The biggest motivation according to László has been the amount of positive feedback and achievements. At the age of 16 he was about to become a monk of the Franciscan order and, while spending his novitiate in an institution in Transylvania, he realised the absolute lack of perspectives for disabled people for the first time. Probably this was the milestone that set him on his path.